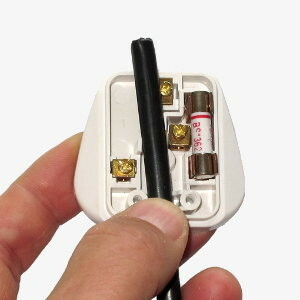 Estimate the cable length inside the plug. 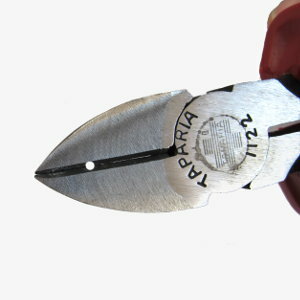 Take your side cutter and cut carefully a groove around the cable sheath. Grip the cable sheath... ...and pull it off. Cut the single cables to length. 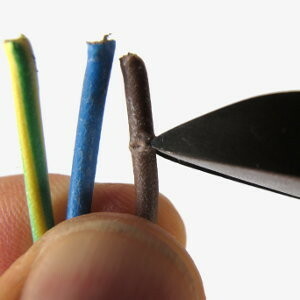 Cut carefully a groove around the single cables. This step is not needed when your cutter has a dismantling function. Grip the cable insulation and pull it off. Twist the core wire... ...and tin it. 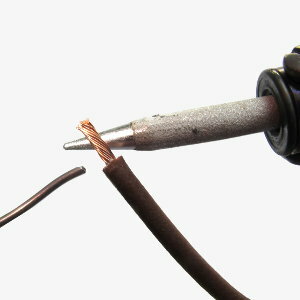 Therefore heat up the cable and add the solder to the cable. 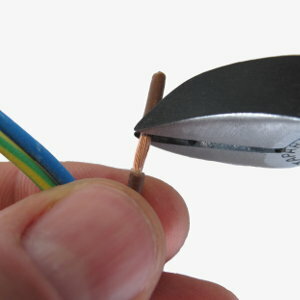 Hint: Tinning is not needed when wire end ferrules and a crimp tool is used. Screw the cables to the terminals. 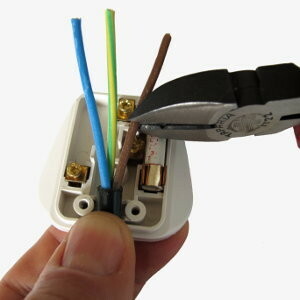 Make sure that the cables do not get squeezed when the cover is fitted. Mount the strain relief. 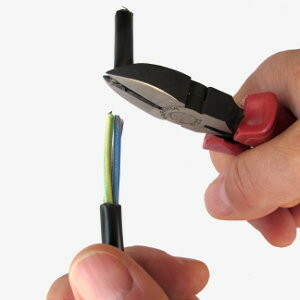 The strain relief should firmly enclose the cable sheath. Note: At a perfect installation the green/yellow PE cable is longer than line and neutral. 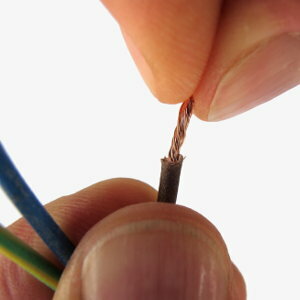 This is because if someone pulls the cable and the strain relief fails the PE cable will disconnect at last. 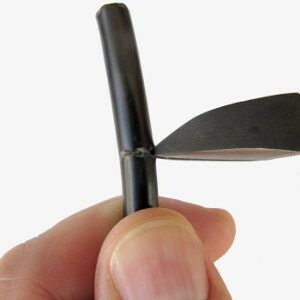 When the core wire is very thin, fold the end over and double the wire diameter before tinning. With thin two-core cables the strain relief might not work. Turn around the cable clamp then. 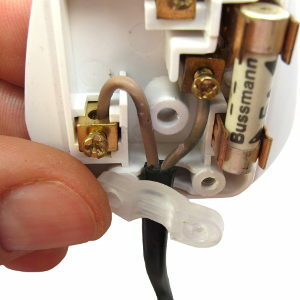 Hint: Per definition neutral (blue cable) is connected to the left pin of UK mains plugs. Often the terminals have even markings for neutral and live. This can be ignored. 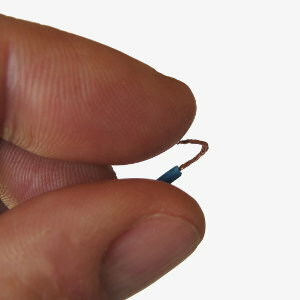 No equipment will function differently when the cables are interchanged. 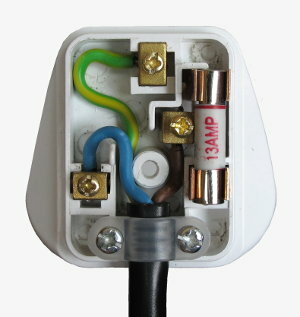 In fact many plug systems in the world are not reverse polarity protected and the plug can be inserted into the wall socket in either way.